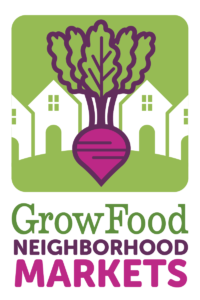 Recent NewsHome » Recent News » Featured · Food Access · Uncategorized » Introducing, Grow Food Shares! Our food access programs have grown, evolved and expanded over the last few years and now have a new name–Grow Food Shares! This name change and streamlining of our programs will help us provide a clearer message to the community. 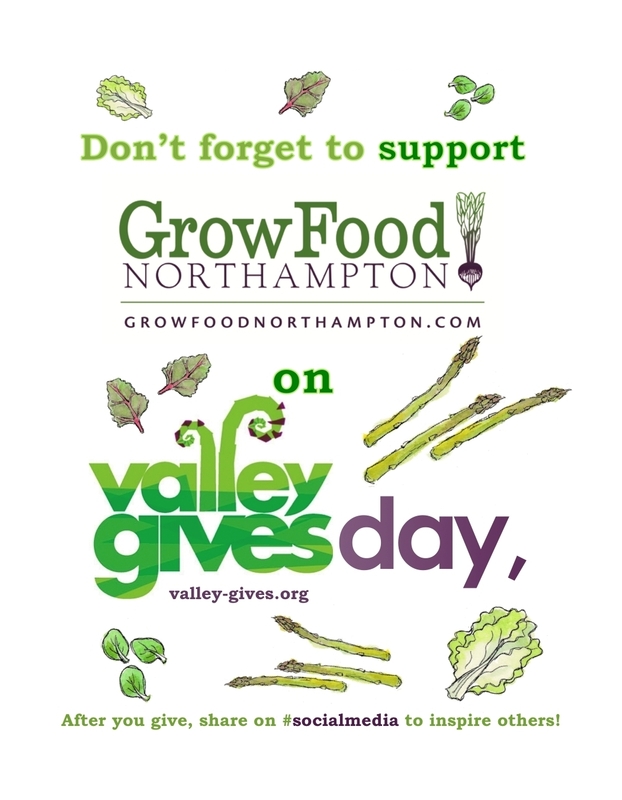 As the ground warms, we are gearing up in all corners of Grow Food Shares to provide access to locally grown, fresh fruits and vegetables where people live, work, and visit in Northampton. There are many ways and locations where we will connect people with affordable local food: SNAP Shares at Crimson & Clover Farm, SNAP Match at Tuesday Market, Neighborhood Markets, the Giving Garden and Community Garden. We hope to offer something for everyone. 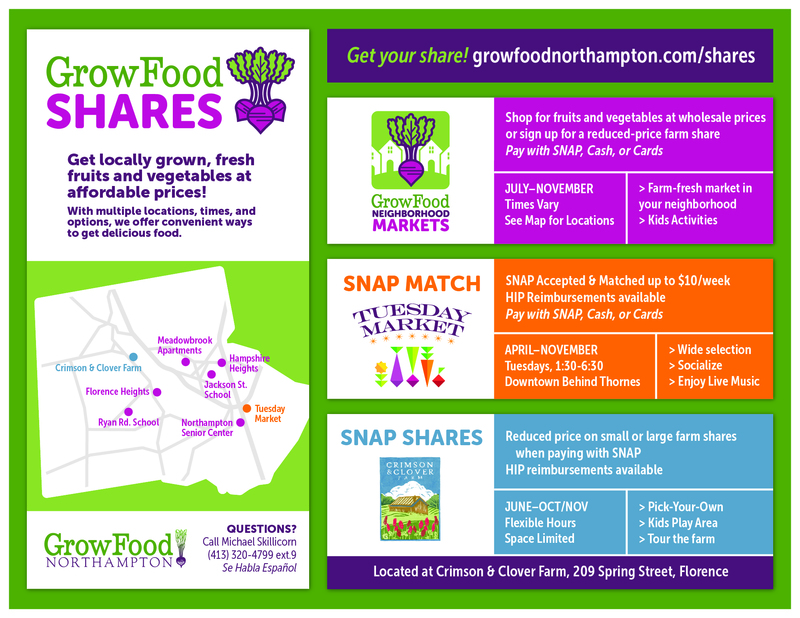 Registration is now open for SNAP Shares at Crimson & Clover Farm in Florence. 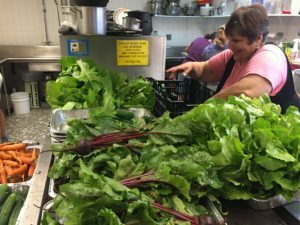 They offer Community Supported Agriculture (CSA) farm shares and have a store open to the public. 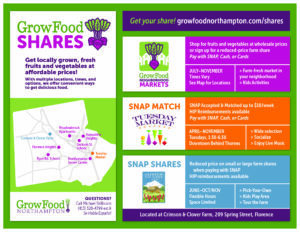 Grow Food Northampton subsidizes the share for SNAP clients who pay with their benefits and Healthy Incentives Program (HIP) reimbursements are available for those customers. The share runs from June through October/November, has flexible pick-up hours, pick-your-own herbs and flowers, and a kids play area. Learn more and sign up here. 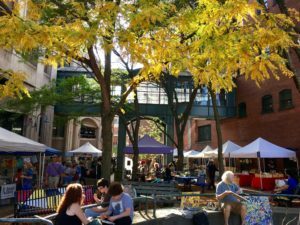 Tuesday Market will open for the season on April 23. People using SNAP can stretch their dollars by using our SNAP Match program. Simply stop by the purple market tent to purchase tokens to use on SNAP-eligible products around the farmers’ market. We will match up to $10 per person each week thanks to generous funding from Valley Solar and Valley Home Improvement. Those with SNAP benefits can also use the state-run Healthy Incentives Program (HIP) at our fruit and vegetable vendors for an added benefit. Stop by our tent at Tuesday Market to learn more or click here for some Frequently Asked Questions. Beginning this summer, Neighborhood Markets will bring affordable, locally grown fruits and vegetables to where people live, work, or visit, reducing financial and transportation barriers. In order to reach the most people in need and foster a sense of community pride, Neighborhood Markets are located in areas where food-insecure residents are concentrated, namely in or near subsidized housing communities (currently Hampshire Heights, Florence Heights, and Meadowbrook Apartments). We also have Markets at two elementary schools (Jackson Street and Ryan Road), which offer a convenient pickup location for parents. River Valley Co-op is the lead business sponsor for Neighborhood Markets, an exciting partnership that combines financial support with operational support. Neighborhood Markets is also supported by Cooley Dickinson Hospital and the City of Northampton Whiting Street Fund. 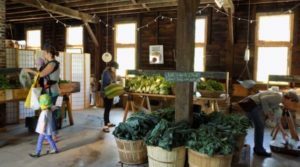 Residents can participate by signing up for a subsidized farm share at the beginning of the 10- or 15-week season, or by making purchases on the spot. Neighborhood Markets begin in July. More information here. 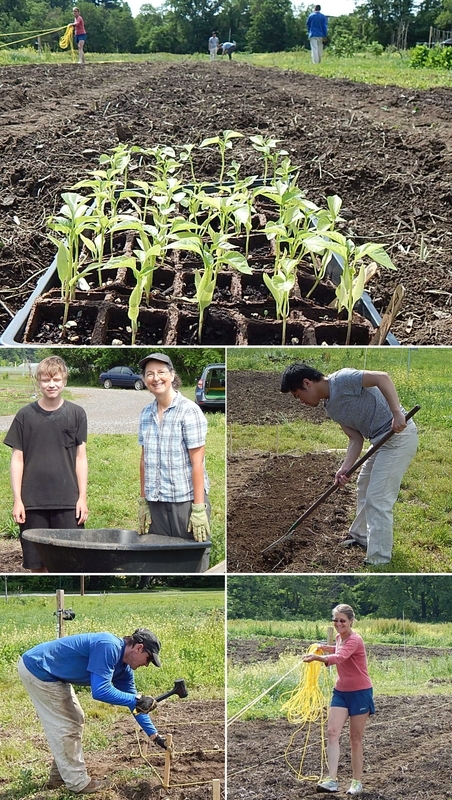 Our Giving Garden began in small community garden plots in 2012, expanded in 2015 and 2016, and is now providing thousands of pounds of vegetables to MANNA soup kitchen, the Northampton Survival Center, the Easthampton Community Center, and the Star Light Center. These fresh, sustainably-grown vegetables are incorporated in free meals or distributed to families who rely on pantries to help stock their kitchens with food. The food is grown by volunteers, interns, and staff members, who manage the production. We are grateful for a 3-year grant from the Harvard Pilgrim Health Care Foundation which will help us to expand opportunities for volunteerism and community engagement. We will be offering opportunities for groups and individuals to volunteer, and workshops where people can learn tangible skills that also support the Giving Garden. If you would like to help us to grow food in the Giving Garden and/or deliver the harvest, please fill out the form on our Volunteer page and indicate your interest in this project. We will add you to our email list and notify you of volunteer opportunities. Our Community Garden offers a discount for low-income and senior gardeners. We have a limited number of garden plots available now, and will place others on a wait list for any plots that open up as the season begins. For more information and to register, click here. Vote for our Giving Garden Grant!